Another book launch! Nothing for years, then two come along at (nearly) the same time. For those few who have read Bright Sword and said they want to read the next in the series, I’m afraid this book isn’t it. But please, if you liked it, could I ask you to post a review? Here. The books are about 70 pages and contain articles written by members of the Group. It is a very small group, which is why it tales so long to produce the books. 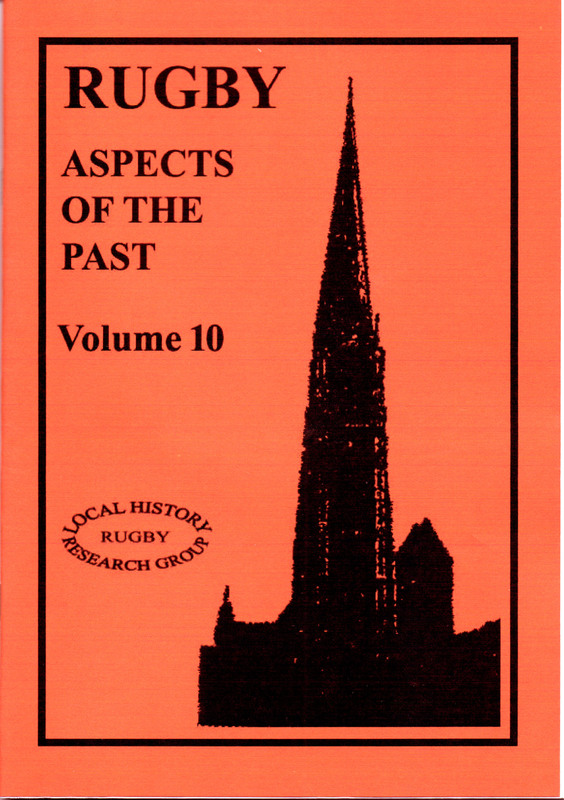 We have done books on Rugby in the Victorian period, during ww1 and ww2 and the 2oth century. But mostly they contain a variety of subjects – whatever the member finds interesting. Memories of childhood, a local industry or some incident that has caught the eye in the local newspaper. The articles are passed around for comment/editing and collected together, they are proof read, a few pictures are added to fill any awkward gaps and sent to a local printer, together with the cover design. How do we design the cover? Each book is a different colour, depending on what card the printer has available. This time the only colours we haven’t already used were orange and a bright pink. Everyone preferred orange, the next will have to be pink! Sometimes we have a big argument on what picture to use – everyone wants a picture from their own article. Only a few are suitable as it has to make a distinctive silhouette. Why not have a “proper” picture? Because it’s always been done this way! For this book, there was an article about the R.C. Church of St Maries, in Rugby. Someone had a decent photograph, no problems with copyright and no one objected. It was turned into a silhouette, and the title was added. Job done. It was all free – unless you count the time taken by the poor person who has to do all this – me! 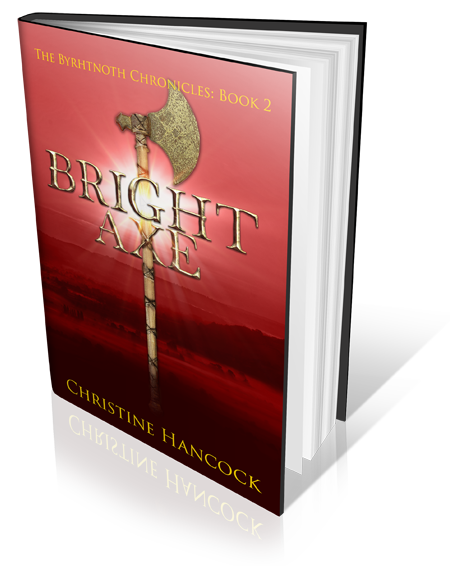 Compare it with the cover for Bright Sword. I employed a proper designer. I made a few suggestions, she produced samples. We discussed them and I made a final decision. Minor changes were later made by the publisher, but that was it. No other “authors” to fight it out with. Price – a lot more, but you get what you pay for. In the end, the Aspects of Rugby book was all done in a rush, because I was giving a talk in the library and we wanted to use it to launch the book. The talk was “Rugby: Development of a Town”. It was part of the BBC Civilisations Festival – we might have got a few more people if the Library had thought to put that on the posters, or put said posters somewhere people could see them! No Anglo-Saxon Warriors this time. Just me and a projector, although Anglo-Saxons were mentioned (was it founded by them or was it earlier?). I didn’t have the courage to mention “my” book. But we did sell a few copies of “our” book. In fact I think we sold more copies on the day, than I did, probably because it was cheaper. If you are interested in the book, there are details on the website. Or there would be, but it doesn’t seem to be working at the moment. And guess who has to fix that? Not surprising I find it difficult to find time to write. Around 6,500 words written. sounds good, but that’s over two weeks. I managed over 2,000 on one day, so I can do it when I try – and don’t have anything else to do! ← Let’s talk about the Weather!